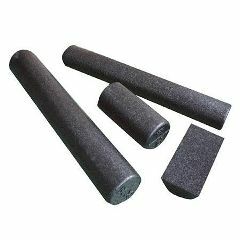 AllegroMedical.com presents The Cando High Density Black Foam Therapy Rolls. CanDo exercise products have been used by physical therapists, athletic trainers and the general public since the 1980s. Many of you who have received therapy after an injury have probably used a CanDo exercise product during your rehabilitation. I paid extra to have product shipped quickly, but it wasn't. By the time I received it, my back was too bad to use. Don't know if it's any good. NOVA Chemicals manufactures a non-latex foam that could drive significant cost savings to your foam roller supplier. Who can I speak to to discuss our product?